Home>Fashion>Handbags>French vintage cross body bow bag "Bons baisers de Paris" 12.8" x 12.4" x 3.14"
- H 12.8" x W 12.4" x D 3.14"
France is the ultimate state of fashion. From clothing attires to shoes to accessories that accompany a style, look, and fashion, France always manages to win out. 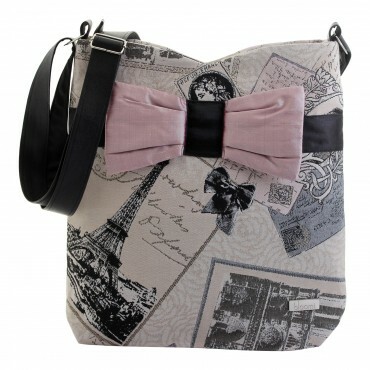 This chic yet vintage French cross-body bow bag is another essence of France and its fashion. 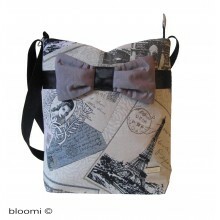 Made in Paris XIV, this bag reeks of fashion and style. It is a cross body bag, which is very in these days and has a silk bow on it, which is also another trend nowadays – as we said, France never stays behind in fashion and you should not either. 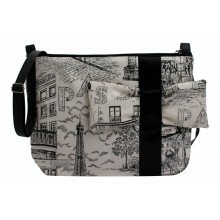 Made especially for women who love France – or more specifically, Paris – this bag is for you. 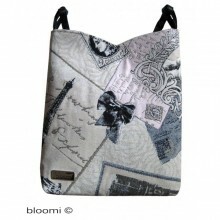 Take this stylish chic bag with you for casual outings or chic hangouts- it will suit any style. 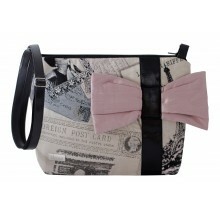 The French Vintage Cross Body Bow Bag comes in light pink tinted color, accompanying a pink silk bow. 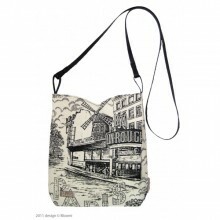 However, that is not the best part about it – the best part would be the imprinted design upon the bag. 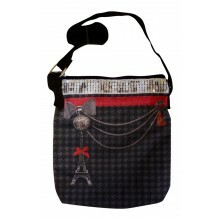 In a chic style, the bag has a print fabric with the Eiffel Tower, the Arc de Triomphe, and other French beauties made upon it. The bag looks vintage as well as classy because of this. Other features include the imitation leather strap that is adjustable, that make this French bag a cross-body bag. The bag consists of a zip to safe-keep the things put within and has two slip pockets inside, too. 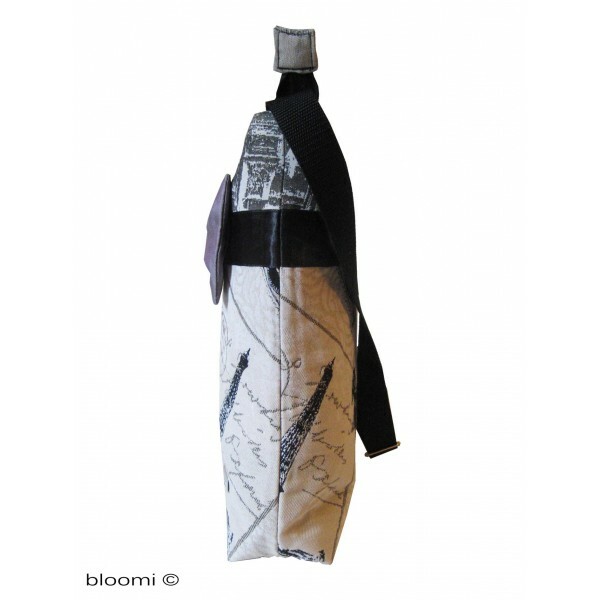 The size is perfect for a cross-body bag with approximately 12.8” height and 12.4” width. 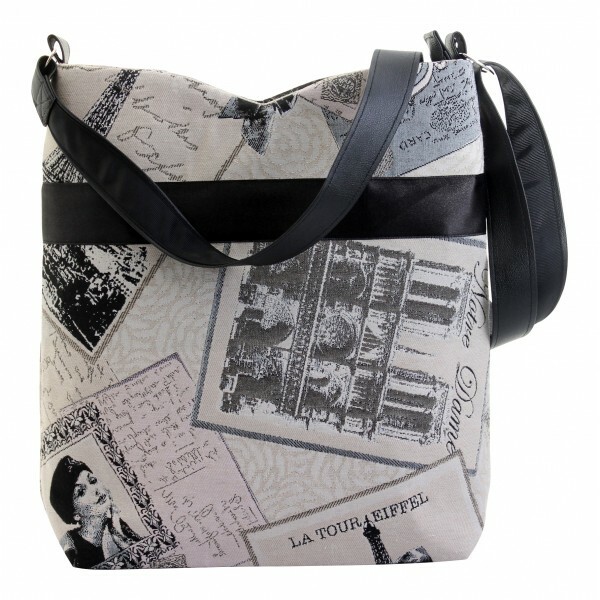 Women who love France, Paris or things made in France or Paris, this bag is perfect for you. If you happen to have a friend who loves Paris or things made in Paris XIV, this would make for the ultimate gift, whether it is for a birthday gift or a bridal shower gift, this would be perfect. Simple, chic, trendy, with a dash of vintage, this bag would make the ultimate accessory to you or your friend’s outfit or fashion etiquette.